Indie games are often shoved to the back burner due to the other games. Especially with games such as God of War, Monster Hunter World on the console, many of them shrink behind the light. Other days, they’re overwhelmed by the following of online games such as Rainbow Six Siege, Overwatch, and Black Dessert Online. And considering their budget, sometimes the trailers of the indie games don’t look so great. But this doesn’t mean that there are no good indie games out there! There are some indie games out there! Even if only a small team built the game, it’s still capable of being something equivalent to a Triple-A game. 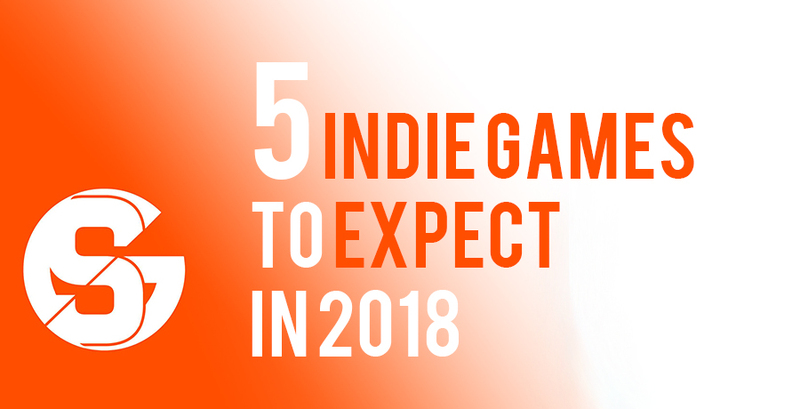 With that, here’s our list of indie games to look out for the year 2018! Looking for a new horror game to keep you up at night? Visage is a psychological horror indie game created by SadSquare Studio. Visage is a first person game that takes place in the 1980’s where you’re tasked to solve puzzles, venture through the terrifying labyrinth of a house that contains the memories of dead family members. As you dive deeper into the house, you’ll find yourself reliving the deaths of every family member who had lived in the house. But as you venture deeper, there’s a reason as to why those people are dead. And it’s up to you to find out the truth. To learn more about Visage and its developer, they have a Kickstarter. And for a little teaser, check out their trailer below! In an apocalyptic, war-torn world, your job as the main chosen one among the Graywalkers to gather the 36 other Graywalkers to spare the world from destruction. Dreamlords Digital’s turn-based game creates a more immersive experience as each choice will further change how the game plays down the road. As a tactics game, gamers who have played Fire Emblem would definitely appreciate how the mechanics all come in to play. It has 3D graphics from their characters to their environment to give players a treat to the eyes. To follow them, check out their website or their Facebook page. Don’t forget to check the trailers down below! Originally meant to come out in 2017, Praey for the Gods was pushed back to 2018. While it sports a similar battle mechanic to Shadow of the Colossus, Praey for the Gods has an open world where players must guide the female protagonist through the frozen tundra. Lacking equipment, she comes across fiendish and terrifying creatures which she needs to fight through. Her only chance of survival? To kill the very gods she worships. Its amazing graphics captures the horror of fighting against one’s deities as the player must brave through the tundra. To find out more about the game, check out their website! Don’t forget to check their trailer below! In a wasted world, you and your team must venture into the apocalyptic wasteland. While there, you’ll have to fight aliens and mutants. As members of a sci-fi squad of soldiers, your job is to find the remains of Project Phoenix. All this, while making sure you don’t die. As a turn- based game, Phoenix Point requires to think and outwit their opponent before losing any of their units. Big fans of Hayao Miyazaki’s work? Then, this game is just for you! Forgotton Anne is a game where players must venture through a strange world to prevent it from falling into chaos. As one of the few incoming platform games, Forgotton Anne triggers a sense of nostalgia within the players. They’ll see at concepts similar to many of Hayao Miyazaki’s movies which will definitely appeal to the Studio Ghibli fan in players! Published by Square Enix, if the developers caught the eye of Square Enix then, this game is definitely promising! Make sure to catch it this coming May 16, 2018! For more information about the game, check them out on Steam! So there you have it! All the Indie Games for 2018! Considering a Steam sale is going to be coming up soon, you’re gonna have to ready your wallets to buy majority of these indie games. Since they’re on Steam, make sure you buy these indie games on Publisher Week where games can have discounts as big as 90% off!